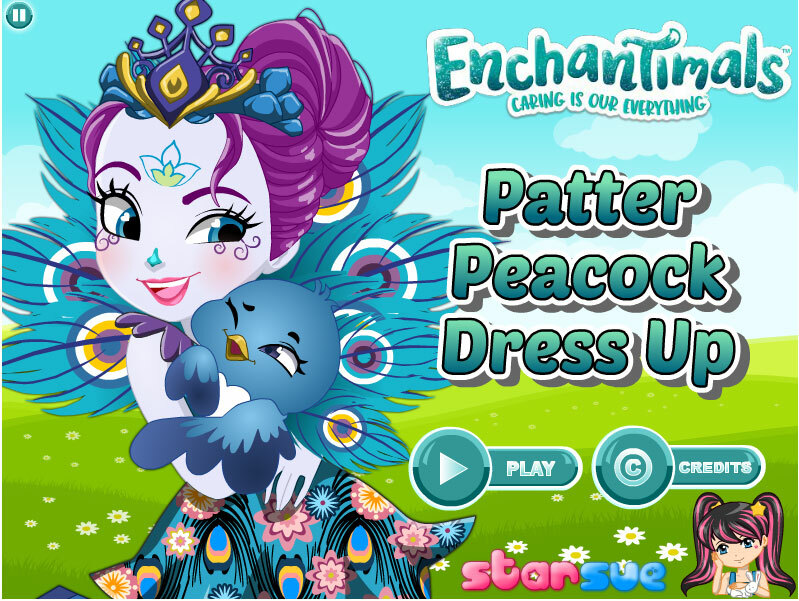 A group of lovely girlfriends and their animals from EnchanTimals have a special connection with their favorite animals and have much in common with them. The creation of these cute and girls live in a fantasy world full of fun, adventure and pleasant moments. Girls and their Pets make the world a happier, nicer and warmer. Petter Peacock is very proud of his animals and I'm glad she has one. She encourages her friends also to enjoy life and appreciate what they are. The girl loves to communicate, but when she gets nervous, she begins to sing. Sure, she's not a good voice, but her pet Flap help her make her song pleasant to the ear and fun. In this game of dressing you can pick up magical friends and their animals great outfits and beautiful jewelry. Use the mouse to do this and get a great charge of vivacity and then. I think after this game you will play in one of the cheerleading games on our website. Played: 22329. Added: 23-06-2017, 08:30.